In the land beyond scrambled eggs, store bought cereal and pastry (or the deli breakfast) is a world of breakfast foods that can give you a great start to your day. 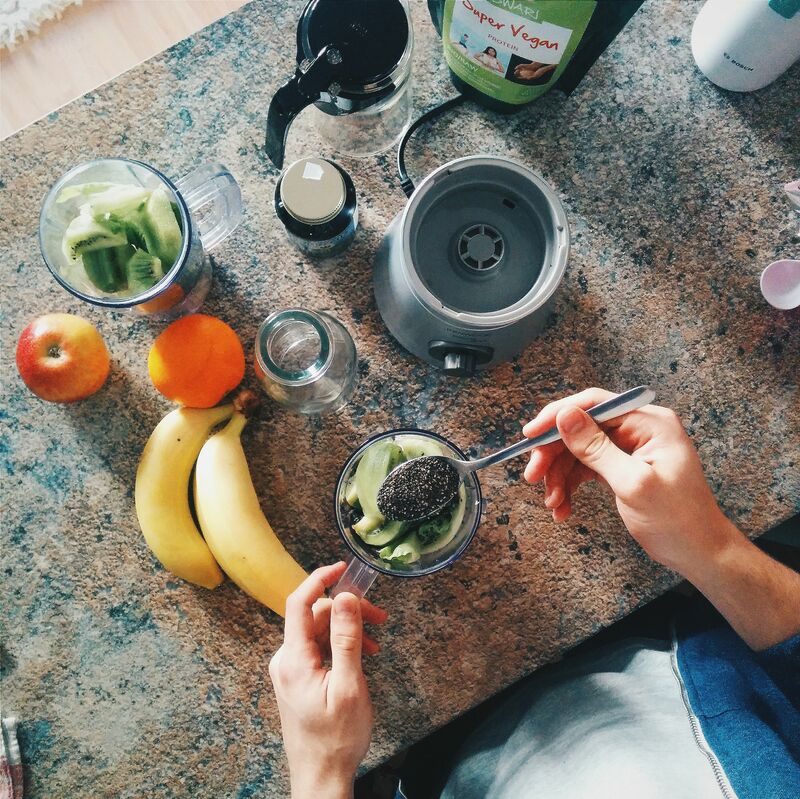 We'll start with smoothies, one of the fastest portable breakfast foods you can find. The possibilities are limited only by your imagination: here are dozens of smoothie ideas to get your engine going in the morning. Easy Quinoa Porridge With Fresh Fruit and Berries is a great meal to start the day with ​and can be made with leftover steamed quinoa, thus turning it into a highly nutritious, breakfast-in-five-minutes kind of bowl. (Cooking plenty of extra quinoa is ideal to have leftover for this very purpose.) While strictly speaking quinoa is a seed, it is eaten as a grain. It has an exceptional amino acid profile and, along with its cousin amaranth, has the highest protein content of all grains. The Perfect Poached Egg is not as difficult as we often think, and they are a great food to have in your repertoire. They are also ready in 3-4 minutes! They are essentially soft boiled eggs without the shell​ and make a beautiful presentation for brunch. There are many ways to poach and egg, and everyone has a theory, but I'll share the way I've been successfully cooking them for years. Grain Free Lemon Poppyseed Pancakes With Berry Sauce are ready in 10 minutes and make a great breakfast worthy of royalty, yet take only a few minutes to prepare. These pancakes require only a few basic ingredients: banana, egg, almond flour, a touch of leavening, poppy seeds and lemon zest along with oil or pastured butter for cooking them up, and you've got breakfast fit for royalty. There's plenty of room to play, as you'll see in the variations. Overnight Toasted Oat and Quinoa Porridge is a great meal to start the day with and is a highly nutritious, whole grain, breakfast-in-five-minutes bowl on the back end. You can skip the step of toasting the grains, but it lends an incredible nutty flavor that makes the extra step well worth it. Grain Free Paleo Banana Pancakes require a few basic ingredients: banana, egg, almond flour and a spice (or not) along with oil or pastured butter for cooking them up, and you've got breakfast fit for royalty. I don't add any leavening to mine but do generally add a tiny pinch of sea salt and cinnamon. Grain Free Almond Ricotta Pancakes are a breeze to make; the dry ingredients can be prepped ahead of time, and you can forego whipping the whites to have an extra speedy breakfast. These rich and yummy, not-too-sweet, grain free almond ricotta pancakes make a scrumptious breakfast that can follow you to work and be eaten room temperature too.